Even the greatest PC builders didn’t have the knowledge and skills they have now without making at least one of the most common PC-building mistakes when they were starting. There’s no reason to be ashamed of your being a rookie, because mistakes are how people learn, after all. However, the power of the internet has innovated how information is spread. That is why there are websites and forums that provide advice and guides to people who are still starting out. If you’re one of those people looking for suggestions, then you’ve come to the right place. Building your own PC is not as daunting as it sounds; it’s actually pretty straightforward once you know the basics. Take note of the considerations when you make a build, as it can be pretty easy to make mistakes when you’re not careful. Without further ado, here are some tips on how to avoid common PC-building mistakes. This is one of the most common mistakes rookies make when they get a PC with a graphics card for the first time. Instead of connecting the monitor to the graphics card, they plug it into the motherboard instead. There is actually a big difference in the gameplay when you’re using the computer’s integrated graphics instead of the GPU. Plus, it makes the graphics card useless if you’re not using it. A tight budget is not an excuse for anyone to choose and use a low-quality power supply. An exception is, of course, when you use components that use less power. If you have money to spare, go for an affordable one for your build to be safe. Remember that not all power supplies are created equal, so make sure that it works with everything you put into your rig. Another tip is to go for trusted PSU manufacturers with a good reputation in the market and among users. There are a lot of ways this can happen. First-time builders may choose an AMD processor and pair it with an Intel motherboard and vice versa. Sometimes, they may also forget to take into account how tiny their case is and choose components that are too big to fit in it. They may also choose to buy four 4 GB RAM sticks for a case that can only accommodate two sticks. Making sure all the components are compatible is important, but you also need to make sure that everything fits inside the case because the computer may not even turn on in the first place if even one part goes awry. There is no universal rule as the sequence often depends on the case you are using. There’s a reason people use a sequence instead of randomly starting off somewhere. 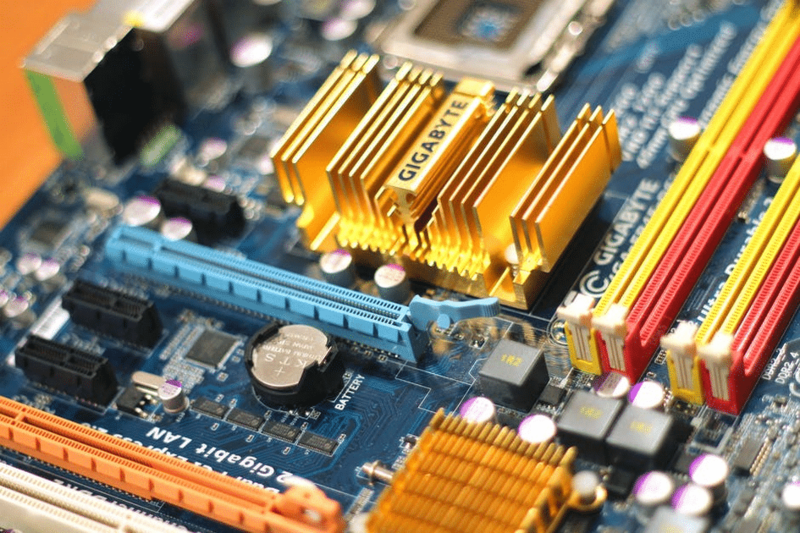 Experienced builders usually start with installing the motherboard, the power supply, the hard drive and/or SSD, the graphics card, and last but not least, the wiring. Access to the internet is very important when you’re putting your build together. It’s an important source for when you need step-by-step guidance or for when you need to double-check what you’re doing. You can easily fix problems you may be having by consulting the web search. You will also need the internet to update your drivers especially after installing them. Make sure to keep all driver disks that came with your components, especially the ethernet driver. It comes handy when you need to reinstall your OS or restore your system to its factory settings. A cooling system is very important for a computer especially if it is used for gaming. Cases that come preinstalled with fans don’t usually have this problem, but it is another thing when you’re adding more fans to keep high temperatures in check. One of the most common mistakes first-time builders do when they install new fans or upgrade existing ones is to place them the wrong way. Fans are supposed to pull fresh air inside the hot component to cool it off and blow the warm air out of the case out the back. Before you put your case cover back on, test out the fans first, and double-check to ensure they are installed correctly and facing the right way. Imagine this scenario: saving up to buy the best GPU you can afford, buying more RAM, spending a little more for a motherboard and the case but keeping the same cooling system. While most experienced builders will cringe at this, novice builders don’t know any better. It’s exciting to upgrade to better components in order to have a better gameplay and experience, but most newbies usually skip out on getting a better cooling system especially if they think they are saving money and an air-conditioned room will help cool off the computer. If you’re getting higher-end components for a computer, especially a gaming one, then it is expected for it to heat faster because it demands a lot more performance especially when games are graphics-demanding. While most people opt for adding more fans for air cooling, consider looking into getting a reliable liquid cooling pc. Not only does it improve the aesthetic of the computer, but it also ensures that your rig never hits above the acceptable thermal limits, prolonging its life and making you enjoy playing games longer. If you’ve achieved your first build without any setbacks, congratulations, but don’t rest on your laurels yet. You need to know about postbuild mistakes as well, especially regarding acceptable PC temperatures and not knowing about regular PC cleaning and maintenance. There’s nothing wrong with wanting a packaged computer for yourself because, let’s face it, there’s less hassle on your part and you often only need to pay to plug and play it. However, there’s nothing like the feeling of successfully accomplishing your first build. What do you think are other common PC-building mistakes you’ve personally encountered?